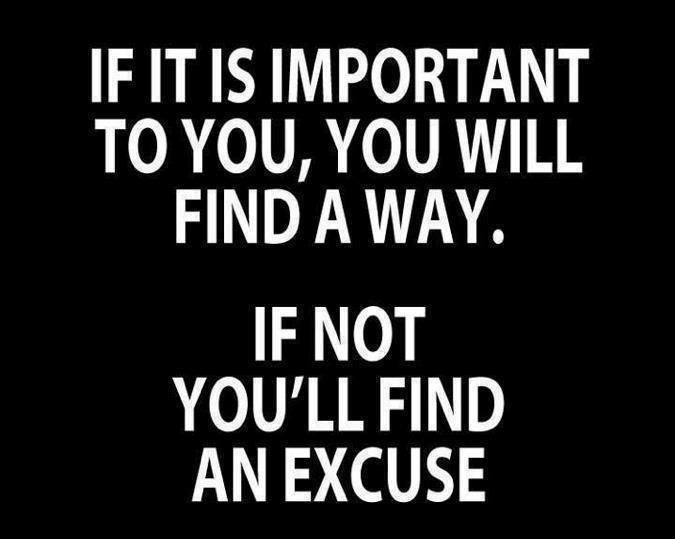 If Its Important You Will Find a Way. We have all heard the age old saying “if you want something done give it to a busy person” and it is very true. Getting things done boils down to a matter of priority. As a leader you need to be very sure of the message you send the team. If something is important, on a list of key actions & yet never gets executed what is the message you send? Other things were more important, other things were of a higher priority. What you measure you can manage. The Art of “excuse making” and of being “busy” are the same thing. Being too busy is the new disease that affects leaders at all levels. Whenever I hear someone proudly telling me they have been too busy to do something that is important to the success of their business I immediately start to look at the patterns in their behaviour. Often they are disorganised and let the urgent business as usual stuff get in the way of doing the important things. Be the sort of person who makes things happen rather than making excuses.